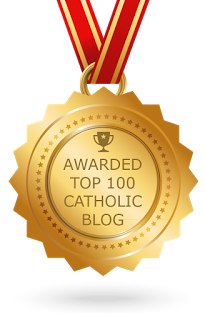 phat catholic apologetics: What Is the Catholic Understanding of the Gospel? What Is the Catholic Understanding of the Gospel? Or, to put it another way: What is the message of the gospel? What is its content? What exactly are we supposed to be preaching to people? This is a very important question! After all, how can we “preach the gospel to the whole creation” (Mk 16:15) or “repent and believe in the gospel” (Mk 1:15) if we don’t know what it is? “It is the power of God for salvation” ... yet many of us are entirely ignorant of it! I think it’s time we change that. The best way to answer this question is to consult Scripture and the documents of the Church, particularly the Catechism of the Catholic Church. Let's begin with the Bible. As Jimmy Akin points out in his very helpful article on this topic, there are 93 references to the “gospel” in the New Testament, but most of these assume that the reader already knows what the gospel is and so they aren’t very helpful for determining the content of the gospel. We see in Scripture that the notion of “salvation” is also closely linked with the gospel. Forms of the words “save” and “salvation” appear 129 times in the New Testament and hundreds of times in the Old Testament. Also, if we consider the immediate context of the “gospel” passages, these save/salvation words appear much more frequently than other terms that refer to Jesus’ work, such as “justification”, "sanctification", or “redemption”. I would say, "saved us" instead of "freed us" here, in order to emphasize the notion of salvation as central to the gospel message. Otherwise, this is an excellent proclamation of the gospel. It identifies who Jesus is ("the Son of God"); it includes what He's done for us ("freed us from the power of Satan and from death") and how He did it ("by His death and resurrection"); and it even mentions the Kingdom ("and brought us into the kingdom of His Father"). 333 Again, it is the angels who "evangelize" by proclaiming the Good News of Christ's Incarnation and Resurrection (cf. Lk 2:8-14; Mk 16:5-7). 422 "But when the time had fully come, God sent forth his Son, born of a woman, born under the law, to redeem those who were under the law, so that we might receive adoption as sons" (Gal 4:4-5). This is "the gospel of Jesus Christ, the Son of God" (Mk 1:1): God has visited his people. He has fulfilled the promise he made to Abraham and his descendants. He acted far beyond all expectation - he has sent his own "beloved Son" (Mk 1:11; cf. Lk 1:5,68). 571 The Paschal mystery of Christ's cross and Resurrection stands at the center of the Good News that the apostles, and the Church following them, are to proclaim to the world. God's saving plan was accomplished "once for all" (Heb 9:26) by the redemptive death of his Son Jesus Christ. "Christ is risen from the dead! 763 It was the Son's task to accomplish the Father's plan of salvation in the fullness of time. Its accomplishment was the reason for his being sent (cf. Lumen Gentium 3, Ad Gentes 3). "The Lord Jesus inaugurated his Church by preaching the Good News, that is, the coming of the Reign of God, promised over the ages in the scriptures" (LG 5). 1391 "On the feasts of the Lord, when the faithful receive the Body of the Son, they proclaim to one another the Good News that the first fruits of life have been given, as when the angel said to Mary Magdalene, 'Christ is risen!' Now too are life and resurrection conferred on whoever receives Christ" (Fanqith, Syriac Office of Antioch, Vol. I, Commun., 237a-b). 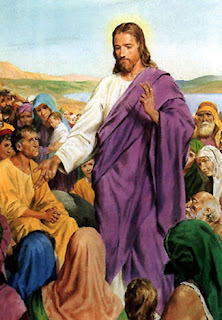 1846 The Gospel is the revelation in Jesus Christ of God's mercy to sinners (cf. Lk 15). The angel announced to Joseph: "You shall call his name Jesus, for he will save his people from their sins" (Mt 1:21). 2763 All the Scriptures - the Law, the Prophets, and the Psalms - are fulfilled in Christ (cf. Lk 24:44). The Gospel is this "Good News." Its first proclamation is summarized by St. Matthew in the Sermon on the Mount (cf. Mt 5-7); the prayer to our Father is at the center of this proclamation. GOSPEL: The “good news” of God’s mercy and love revealed in the life, death, and resurrection of Christ. It is this Gospel or good news that the Apostles, and the Church following them, are to proclaim to the entire world (571, 1964). The Gospel is handed on in the apostolic tradition of the Church as the source of all–saving truth and moral discipline (75). The four Gospels are the books written by the evangelists Matthew, Mark, Luke, and John which have for their central object Jesus Christ, God’s incarnate Son: his life, teachings, Passion and glorification, and his Church’s beginnings under the Spirit’s guidance (124, 514). Now that you know what the gospel message is, go out and proclaim it by your words and your life! Memorize it so that it comes from the heart as a conviction, as a truth at the very core of your life. We should be able to proclaim to anyone, and at a moment's notice, the truth of who Jesus is and what He has done for us. Jimmy Akin: What Is the Gospel? Chris Goulet: How to Share the Gospel: For Catholics! Msgr. Charles Pope: What Do We Mean By the Term "Kerygma"? Marcel LeJeune: The Content of the Kerygma - Good News for the World!